The Health Innovation Network, Academic Health Science Network for South London, has published a report proving that the positive social value of peer support groups for people with dementia, their carers and volunteers can be far greater than the investment. NEF Consulting validated the study. Peer Support for People with Dementia – A Social Return on Investment (SROI) Study has been welcomed by dementia support groups as concrete evidence, for the first time, of the true benefits of dementia peer support groups. The Alzheimer’s Society say more than a third of people with dementia feel lonely and 62% of those who live alone, report feeling lonely (Dementia 2013: The hidden voice of loneliness). Findings from the SROI study demonstrate that peer support groups, or having the opportunity to meet others regularly, can help people with dementia feel less lonely and less isolated and are a valuable intervention. Dementia peer support groups also offer carers respite by providing some time for themselves, and the opportunity to meet other carers. A reduction in isolation and loneliness through meeting other people in a similar situation. A feeling of stimulation, including memory stimulation, more than if they remained at home. An increase in wellbeing from having a sense of purpose and enjoying time at the group. A feeling that their sense of identity is promoted, impacting positively on their wellbeing. Feeling part of a welcoming community which creates a sense of trust, belonging and social wellbeing. Feeling fitter as a result of taking part in weekly exercise activities. A reduction in stress and burden of care, and reduced feeling of loneliness and isolation. An increased sense of wellbeing through being involved in the group. Increased sense of wellbeing through being engaged or fulfilled in their role at the group. Increased level of knowledge by interacting with people with dementia and dementia care. More transferable skills and feeling part of a community. Aileen Jackson, Commissioning Manager, London Borough of Richmond said “This SROI study contains very useful information for commissioners. Peer support is so often thought of as an optional extra, but these findings contribute to the evidence of the benefits of both peer support for people with dementia and its value for money”. For more information on work programmes across the Health Innovation Network click here. 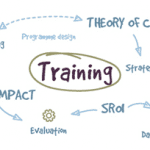 For information on NEF Consulting’s SROI training programme click here.